Excursion from Marrakech with local guides m everyday departure, pick u from your hotel in Marrakech. Our private driver “Ourass Travels - private tours in Morocco” will pick you from your riad and we drive to Atlas mountains. Nestled in the foothills of the mighty High Atlas Mountains, the Ourika Valley makes a popular day trip from Marrakech at just 30km from the city center. A lush expanse of terraced fields and forested hillsides, the valley provides a picturesque backdrop for hiking expeditions, with its verdant hills set against the stark red rock of the mountains. At the heart of the valley are the dramatic Setti Fatma falls, a series of 7 cascading waterfalls that flow into the Ourika River and make a thrilling scramble for adventurous travellers. You will depart from Marrakech with your private driver and head out to to the famous Ourika Valley, with its incredible beauty. The views are fabulous, and you will get a glimpse of the lifestyles of inhabitants of the region by enjoying a glass of tea in a private Berber home. 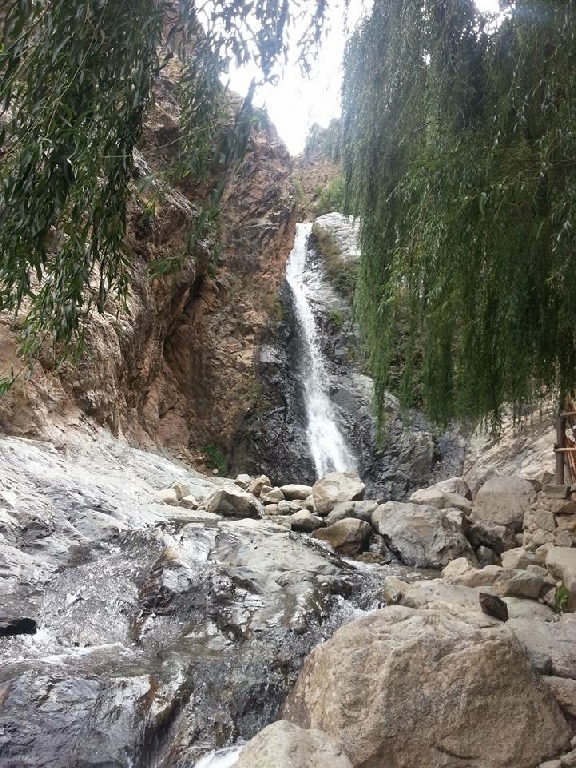 Upon arrival to Ourika you may choose to hike a trail that meanders past the famous waterfalls of Setti Fatma. Lunch will be served in a restaurant by the riverside. 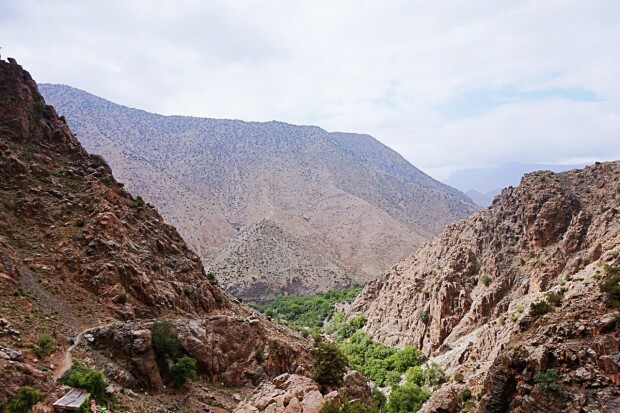 Continuation to the valley of Asni-Tahanaout and surrounding valleys, where you will enjoy a splendid view of the High Atlas Mountains and the rocky desert, and take the route to Kik Plateau before heading back to Marrakech in the late afternoon. Later today we drive back to Marrakech and our private driver will drop you off at your hotel in Marrakech. End of guided desert tour. Ourass Travels can manage for you any day trips and excursion in Marrakech during your stay. Contact us anytime. Excursions from Marrakech with professional guides and drivers , in comfortable vehicles. All trips available every day. Day excursion is private so nobody is in your private group. We pick up you from your hotel / riad at 9.30 am. We return back to Marrakech and we return you back to hotel / riad at around 6 pm.